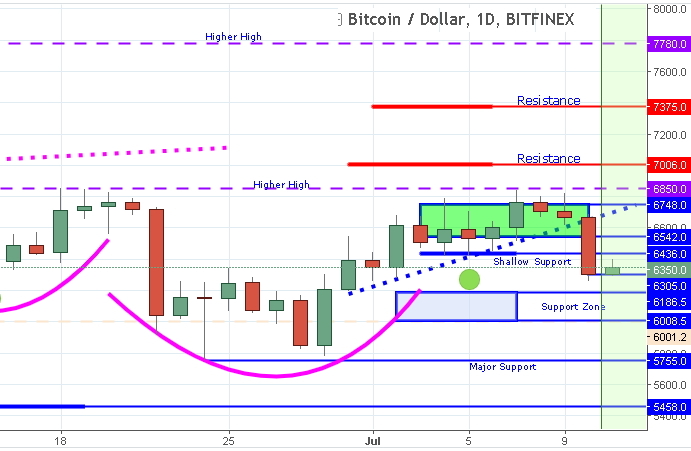 On July 11th, Bitcoin and other altcoins continued their downtrend started on Monday. International experts say that the biggest reason for that is the news on hacking a Swiss crypto exchange known as Bancor. In particular, they say, the hackers stole 23,5 million dollars in crypto coins. The attack took place in on the night of July 11thto 12th. The hackers managed to hack the platform with the help of a fake wallet and stole almost 25 000 coins of Ethereum, BNT tokens and Pundi X coins. The owners of the crypto exchange reacted fast. Instantly after they found out about the robbery, they froze the stolen coins with the help of a specialized system, that makes it hard to sell or spend those coins anywhere on the Internet. Moreover, they informed other crypto exchanges about the incident. They also promised to keep the public informed about the investigation through their Twitter and Instagram accounts. They are reported to have already found out the wallets storing the stolen Ethereum and Pundi X coins. In the meantime, Market Leader notes that security is one of the most burning cryptocurrency-related topics to date. At the same time, this is one of the key factors hindering the development of the international crypto market. At the same time, it should be noted that something has already been done to prevent hacking cryptocurrencies. For instance, as for Bancor, the hackers failed to get to the client funds. The owners were the only ones whose wallets were hacked. NordFX reports that Bitcoin has been going down in value and is now trading somewhere close to 6150 USD/BTC. Over the last 24 hours, the coin has lost over 5% of its value. All of the TOP 30 altcoins followed Bitcoin on its way down to new local lows. Some experts believe that Bitcoin will hesitate for a while before testing the 6K threshold.